Serving as Executive Director requires wearing many hats. Achieving efficacy and cogency in this position requires an individual that skillfully balances the needs of the organization, be it through planning, strategizing, mentorship, management or beyond. At Open-IX, a 501(c)(6) non-profit industry association formed to promote the highest standards for data center interconnection and Internet exchanges, the recently appointed Executive Director Robert DeVita has been chosen to fulfill these crucial aspects of company operation. In this position, Mr. DeVita will provide leadership for Open-IX’s mission to identify, create and support the implementation of industry standards for data center, Internet exchange operators and cloud connectivity solutions. DeVita has an extensive background in management, direct and indirect sales, and development for datacenter technology. In the past, he has demonstrated his prowess by serving as President of the Dallas-Forth Worth AFCOM Chapter, as well as presenting new technologies and applications at top-tier conferences. Now, building on his deep relationships with Open-IX, DeVita brings his nearly 20 years of experience in the data center, connectivity, security and cloud services space to serve as their Executive Director. DeVita will be responsible for executing, implementing and overseeing the vision for the Open-IX association as directed by the Board of Directors, a body of seven industry leaders, all of whom participate as volunteers. Key initiatives DeVita will focus on include the launch of new standards for Edge / Micro data centers and Cloud Connectivity. In addition to this role with Open-IX, DeVita continues to lead the sales and marketing strategy for fifteenfortyseven Critical Systems Realty (1547), and serve on the Board of Directors for the Metroplex Technology Business Council. He also serves as the Managing Director of Mejeticks, a leading provider of IT Advisory services. 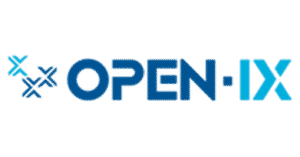 DeVita and Open-IX, with a mutual history of progressive contributions to the industry, form a partnership that allows both to fully express the benefits of Open-IX’s non-profit, member-based approach to the development, implementation and certification of technical and operational standards. Unlike for-profit associations and commercial organizations focused on trade standards, the Open-IX community extends beyond its members to the greater industry, engaging with individuals who observe challenges in the market based on the quickly evolving technology landscape. This holistic collaboration enables the Open-IX Association to quickly adapt to implement industry acceptable standards that address new data center and connectivity models, ensuring a consistent and reliable experience for customers.